Yes, you heard it right! 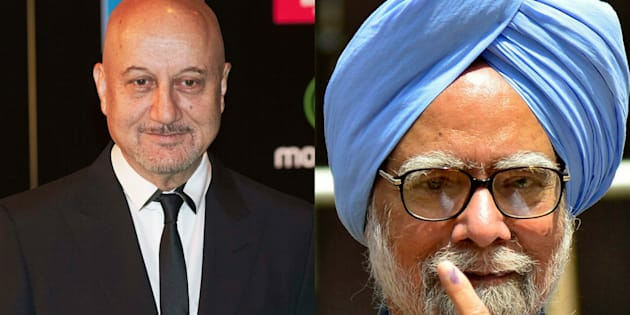 Actor Anupam Kher will play the role of former Prime Minister Manmohan Singh, in an upcoming movie based on the book of Sanjaya Baru, named “The Accidental Prime Minister: The Making and Unmaking of Manmohan Singh”. Interestingly, the movie is set to release just before 2019 general election. Earlier also the book was released just before the 2014 general election. Basically, it is a narrative by Indian policy analyst Sanjaya Baru, who was Prime Minister Manmohan Singh’s media advisor from May 2004 to August 2008. According to the book, Manmohan Singh was answerable to the Congress party’s president Sonia Gandhi and also he was not entirely in control of his cabinet or even the Prime Minister Office (PMO).